Once again, ProIT was invited to attend the Sibiu Gala for outstanding companies in 2018. This event awarded and honoured the leading, most capable local businesses. The ranking is carried out according to competences, key figures and seriousness. The first 10 companies in the district of Sibiu are structured and divided according to groups, areas of activity and size. 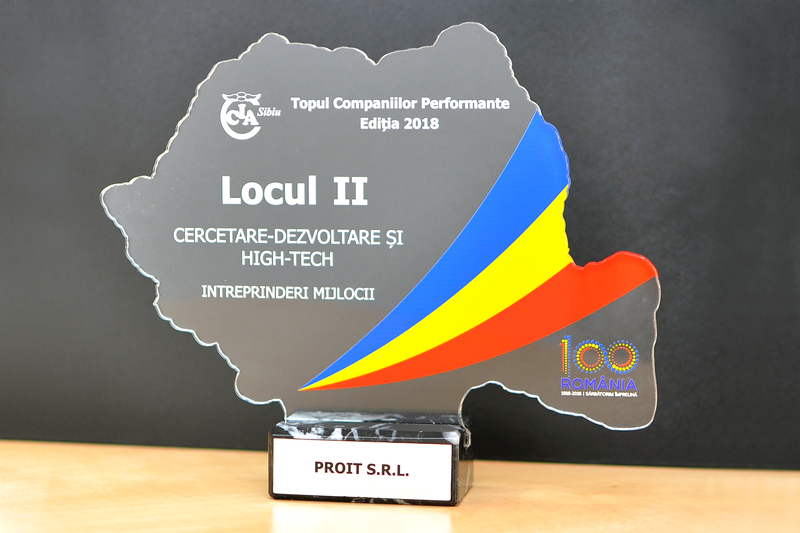 In 2018, ProIT took 2nd place in the category “RESEARCH AND DEVELOPMENT CATEGORY HIGH-TECH ” for medium-sized companies. We would also like to thank all our employees for their great dedication and their continuous, high-quality performance in 2018. Without their reliable work this price would not have been possible! THANK YOU!